PromaDays 2018 - THANKS YOU ! The PromaDays are over and we want to say to you: THANK YOU ! You were numerous these 13 & 14 June to come to browse our showroom and all the marking techniques that we market. With our partners, our technicians and our sales representatives you have been able to discover new techniques, compare solutions according to your needs and perform tests ! 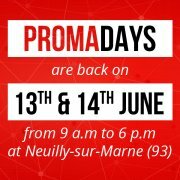 PROMADAYS 2018 : OPEN HOUSE ! Promattex is opening its house to all its customers and those of you who would like to enter the world of transfer. Our equipments are at your disposal if you would like to make some tests. The Promattex International team was present at the Salon C! Print in Madrid from 26 to 28 September 2017! and meet Ludivine and Pauline who are with you all year round! 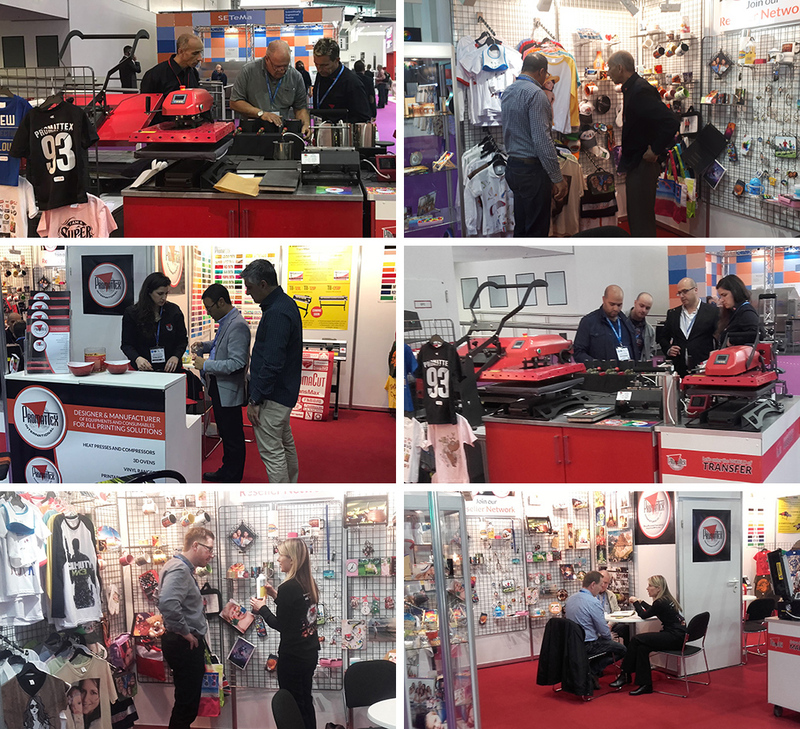 FESPA 2017 - Thank you ! 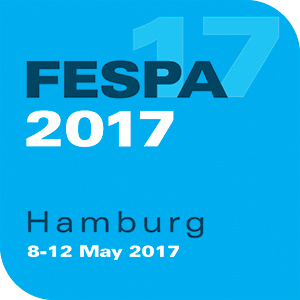 This year again, you have been a lot to come meet us during the FESPA 2017 in Hamburg ! You were able to talk with our team about all the marking techniques we offer an to meet Amine, Inna and Ludivine, who accompany you throughout the year ! 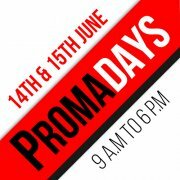 Promadays 2017 : Open House ! 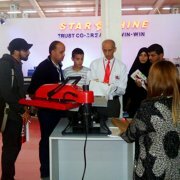 Promattex participated to the SICOM 2017, in collaboration with its distributor AGM (Algerian Graphic Machinery). Many of you came to meet our sales representative, Amine Hantati, as well as all the AGM team and its director, Said Mahiout. 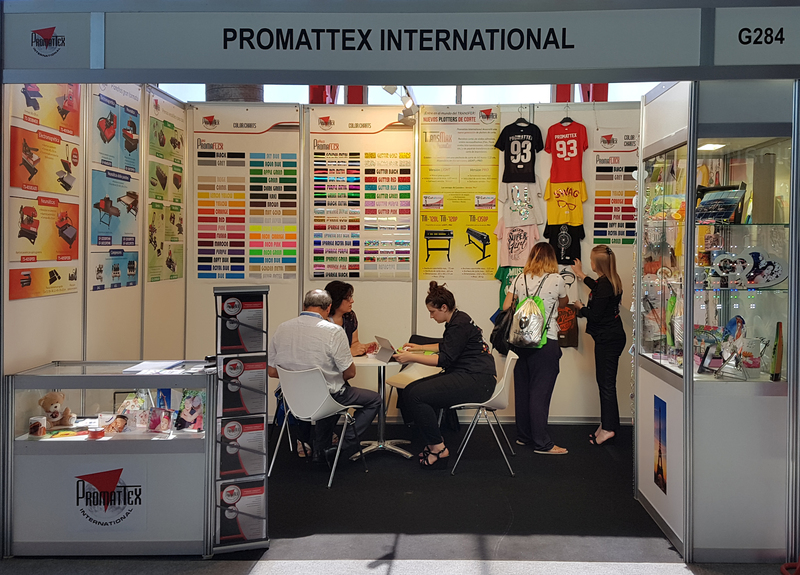 Promattex International, transfer textile specialist will attend FESPA 2017 trade fair at Hamburg on May. Come and meet us, we will be pleased to show you our products and introduce the recent creations! 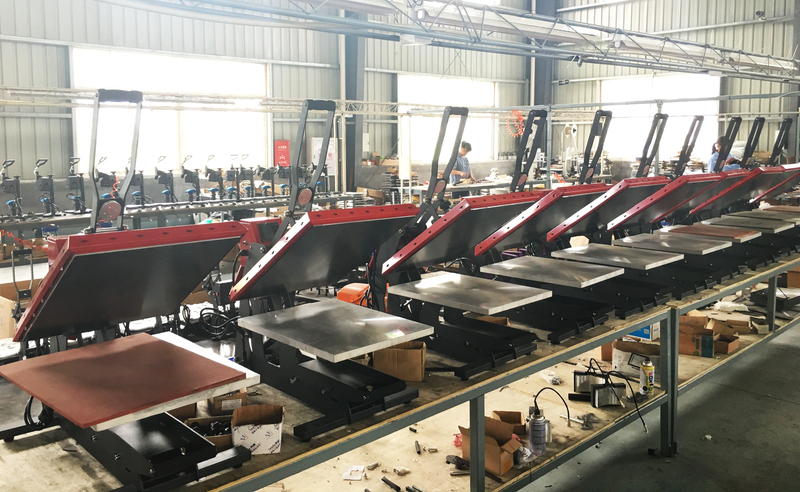 Discover some photos of the production of our transfer presses in our factories ! SGI Dubai 2017 - Thank you ! The Promattex International team was present at SGI Dubai 2017 on January 15, 16 and 17. Many of you came to meet with Inna Negrail and Amine Hantati about marking techniques such as flex or sublimation! From 4th to 6th May 2016, Promattex International was present in Marketing and Communication by the Object ( MCO-CI) Event in Abidjan, Ivory Coast. The stand was manned by Amine Hantati, area sales manager Africa and Middle East at Promattex International, and Mr Charles Djaya, our distributor CD9 Conception in Ivory Coast. Promattex International exhibited at ISA Sign Expo, held at Orange County Convention Center in Orlando, USA. Promattex International today presents a video through which you can discover our wide range of products. 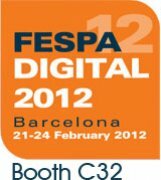 You can meet Promattex International at the Fespa Digital exhibition in Barcelona on the 21st to 24th of February. We wish you a bright and sparkling year and the realisation of all your projects with us! Luck and prosperity to you in 2012! 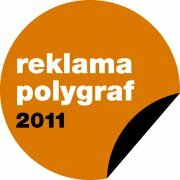 Maryna will be attending the exhibition “Reklama Polygraf 2011” from 23 to 25 March in Prague, Czech Republic. in Gorinchem (the Netherlands) from February 1 to 3, 2011. 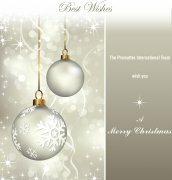 For your satisfaction, Promattex International will be open during the Christmas period. We will be here for all your commercial or technical requests as well as for the shipments. Despite the reduced staff for holidays, we will do our best to serve you. Promattex International had a stand in the Serigraphia Sign exhibition in Sao Paolo. It is one of the biggest exhibition in South America with more than 45000 visitors and 250 expositors. You can meet Promattex International at the Fespa Digital exhibition in Hamburg on the 24th to 27th of May. With a worldwide network of 90 ditributors, Promattex International offers full solutions for thermo transfer. 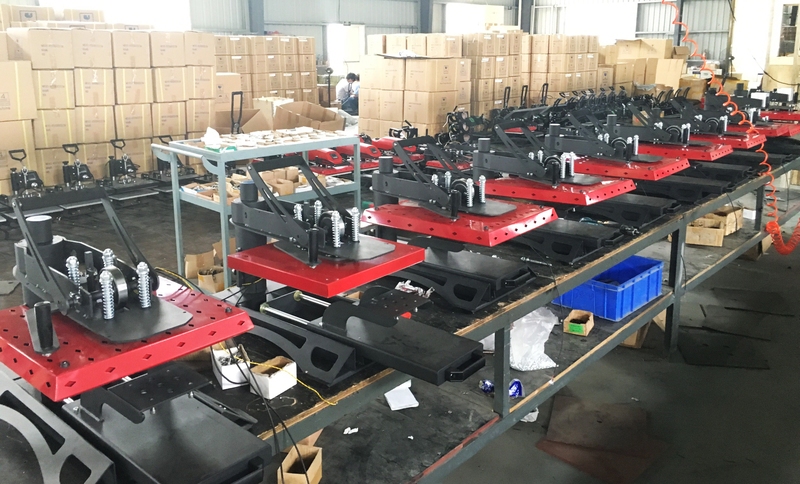 We make it possible thanks to our range of heat press, cutting plotters and heat transfer materials ans estpecially thanks to the possibility for resellers to customize their own model through our R&D department upon study (colour, box, plate size, etc. ).